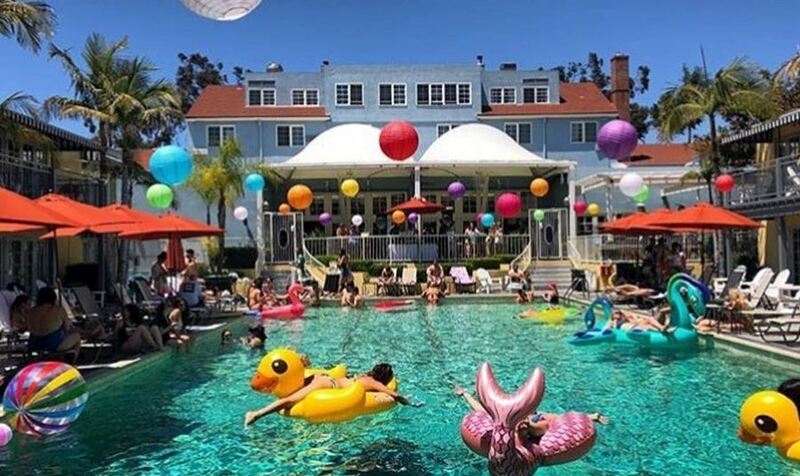 Summer is in full force in San Diego, and if you’re looking for things to do other than the traditional local attractions, we have the MUST DO list that will take your summer to the next level. From the famous warm weather, to endless summer events, and everything else under the sun, San Diego proves time and time again that the city is best enjoyed with tan lines. Stay and play at the Lafayette Summer Pool Party Series. Sunshine, tan lines and cool refreshments! You can literally dive right in to our Weissmuller pool the moment you walk out of your poolside room. We’ve partnered with local artists and breweries to bring you fun and relaxation as you lay out poolside during our Summer Pool Party Series. Each themed event transforms the poolside experience making each event a must attend. Entry is complimentary for hotel guests and Swim Club Members. What’s not to love when you can have breakfast for lunch or lunch for breakfast? Hope 46 has updated their brunch menu with classic flavors with a twist. When paired with bottomless mimosas, you’ll forget that Monday is just around the corner. Just around the corner from The Lafayette, enjoy the best of San Diego nightlife, day-life, shopping and dining spread out before you in 16.5 vibrant blocks at the historic Gaslamp Quarter. Enjoy a baseball game at Petco Park, make your way to tour the USS Midway an aircraft carrier of the United States Navy, or take a stroll at Seaport Village, a waterfront shopping and dining complex adjacent to San Diego Bay. Looking for more of a laid-back scene, that's still exciting? North Park is just around the corner. With a multitude of craft breweries, dining options and casual clubs, there is no shortage of a good time. Sip the latest craft concoctions at our favorite Breweries. Belching Beaver (0.6 mi away)– Try one of their beer floats! Mike Hess (0.9 mi away)– They partner with Urbn pizza so you can have pizza delivered straight to your table. Hillcrest Brewing Company (0.7 mi away) – A local favorite that serves house-brewed beer stone-fired pizzas and wings. Devour a quality meal at some of the newest Restaurants around our hub offering creative creations. Waypoint Public (0.8 mi away) – Upmarket California plates in a bright and staylish digs with kids’ play area. Tiger Tiger Tavern (0.7 mi away) – Creative eats such as wood-fired sandwiches and craft brews in a casual pub space. Holy Matcha (0.9 mi away) – A fun spot for matcha tea drinks and light bites in a chic space that is a photo must. Dance at a no-frills club or bar that that you can actually let loose at (leave the blazer at home). U-31 (0.9 mi away) – A neighborhood club that draws a party crowd for DJs, cocktails and bottle service available. Rich’s (0.9 mi away) – Features a full bar and DJ, this nightclub attracts energetic crowds looking to dance. Realize that summer weather in San Diego extends through December (ask any local), and take advantage of our End of Summer Sale! Book now until July 29th because we've launched an End of Summer Sale where you can save 20% off our Best Available Rate when you stay between now and October 31st.